Touring Car racing in Europe was growing in popularity through the 60s. As the series entered the 70s, the cars and engines were growing. Ford of Europe, located in Germany, joined the ETCC (European Touring Car Championship) in 1970 with the all new Capri coupe, which combined very light construction with a powerful V6 engine. As an answer to the 'Mini-Mustang's' arrival, Alpina developed a racing version of the BMW 2800 CS (e9 chassis). Carbureted through three big Weber Carburetors, the three liter six cylinder engines produced 300 bhp, but it was not enough to make the heavier coupe competitive with the Ford. Serious development work was attempted by Alpina, but they weren't equipped to produce 1000 examples that were necessary to homologate a better car. At this point, BMW stepped in and took over the development and production from Alpina, with the intent to seriously take on Ford. To show they were serious, BMW lured Ford racing director Jochen Neerpasch to Munich. He set up the now legendary BMW Motorsport department. Using the new 3.0 CSi model as a basis, BMW Motorsport created the 3.0 CSL. The 3.0CSL was built starting in May 1972 in numbers to make the car eligible for racing in the ETCC. The "L" in the designation meant leicht (light), unlike in other BMW designations, where it meant lang (long). The lightness was achieved through thinner steel in the unibody, deleting the trim and soundproofing, using aluminium alloy doors, hoods, and truck, and lastly, by using Perspex side windows. Initially using the same engine as the 3.0CS, the 3.0CSL was given a very small increase in displacement to 3,003 cc. This was done a mere 5 months after the car's debut in order to allow the CSL to be raced in the "over three litre" racing category. This allowed for some increase in displacement in the racing cars. In 1973, the engine in the 3.0CSL was given another, more substantial increase in displacement to 3,153 cc. This final version of the 3.0CSL was homologated in July 1973 along with an aerodynamic package that included a large air dam, short fins running along the front fenders, a spoiler above and behind the trailing edge of the roof, and a tall rear wing. The aero pieces were not installed at the factory, but were left in the trunk for installation after purchase -- the wings were illegal for use on German roads. This visually aggressive aero package is what earned the racing CSLs the nickname "Batmobile". The racing CSL was ready for action in 1973. As one might imagine, several details of the Touring Car differed from the road car. The six cylinder engine was increased in size from 3.2 to 3.5 liters, and the four speed gearbox was replaced by a Getrag five speed box. Compared to Alpina's first efforts, power was up by 75 bhp and weight down over 150 kg. The car was fielded primarily by the BMW Works team in the very well-recognized M-colors for livery, but also by Alpina and Schnitzer. 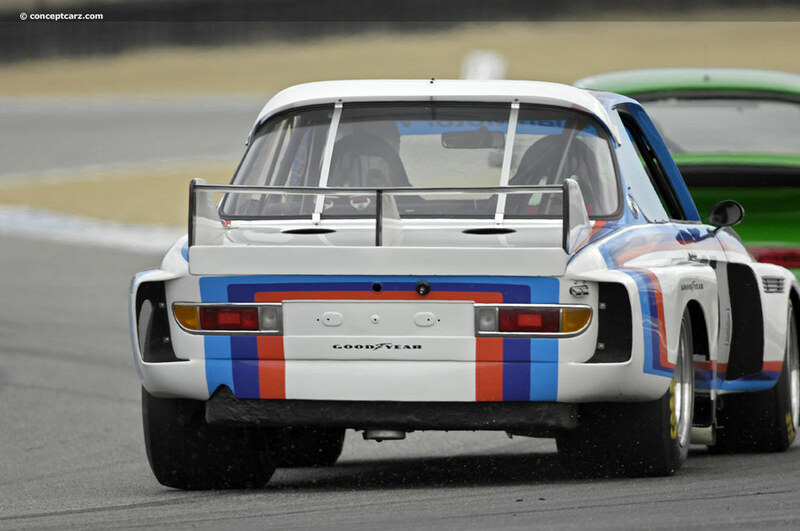 The 3.0 CSL fought an epic battle with the Ford Capri throughout the season, managing a class victory at LeMans. At the end of the season, it was Works driver Toine Hezemans who took the driver's title, and BMW claimed the manufacturer's crown. The series' popularity was bolstered with guest drives by Formula 1 drivers Lauda, Hunt, Stuck and Amon. The latter two scored a victory in the Nürburgring round of the season after six brutal hours on the Nordschleiffe track. The race-prepped E9 went on to win more than 100 races throughout its career, which included several different categories. 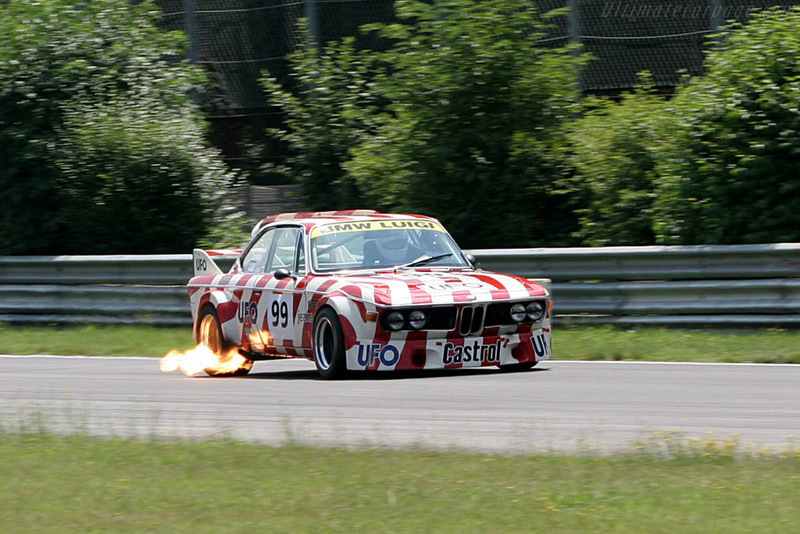 The 3.0 CSLs would win the European Touring Car Championship again in every year from 1975 to 1979. Making the E9 that more special is that it turned out to be one of the very few Bimmers to score important victories on U.S. soil by It was raced in the IMSA GT Championship in 1975, with Sam Posey, Brian Redman, and Ronnie Peterson winning races during the season, defeating Porsche at Sebring, Daytona, and Talladega. 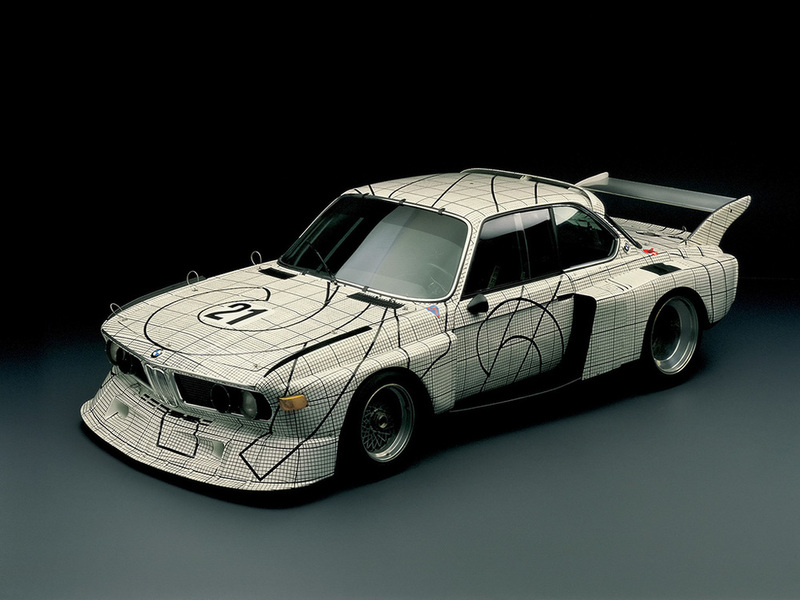 In addition to it's racing dominance, the first two BMW Art Cars were 3.0CSLs; The first was painted by Alexander Calder and the second by Frank Stella.